Thanks in part to the successful launch – at the first attempt – of the Atlas V with the DMSP-5D3 F-19 satellite on Thursday, teams have re-planned the next two launches from Cape Canaveral. The next Atlas V – with the NROL-67 satellite – is targeting April 10, while SpaceX’s Falcon 9 v1.1 launch with the CRS-3 Dragon is working towards an April 14 ride uphill towards the International Space Station (ISS). The Atlas V – tasked with lofting the secretive NROL-67 spacecraft into orbit – was the first launch to be delayed after a fire impacted a radar asset on the Eastern Range. 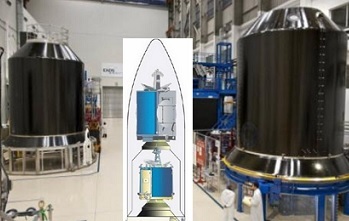 The United Launch Alliance (ULA) set a placeholder for April 10, although it was uncertain as to whether this target would remain in place, due to the large amount of work required to bring the Range asset back on line. Per L2 source information, teams had already began working on an alternative, vehicle specific, solution – due to estimates of “weeks” for the repair of the Radar hardware. Continuing L2 updates since noted the inclusion of the “Radar 1.16” asset as aiding the upcoming Atlas V launch from SLC-41, which is now set on the schedule as “Range Approved” for April 10, with a window ranging from 1345 to 1426 local time. 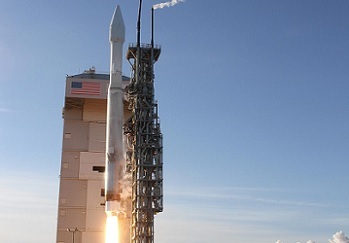 However, the date only became viable after the successful launch of the Atlas V on the other side of the country. This was due to spacing requirements between Atlas V launches, a seven day period that allows for a data review of the previous rocket’s performance and for the associated teams to travel to support the next mission. With the Atlas V successfully launching the DMSP-5D3 F-19 satellite on the first attempt on Thursday, the ability to proceed with the next Atlas V launch in seven days time became viable. It is believed this will be the first time two Atlas V rockets will have launched just a week apart. Had the Vandenberg Atlas V suffered a delay, the April 10th slot may have become available for SpaceX to take a shot at launching the Falcon 9 v1.1 with the CRS-3 Dragon to the ISS. 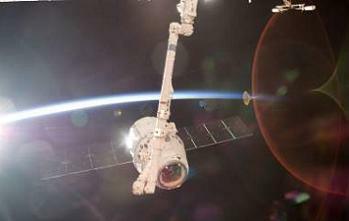 NASA managers had created such an opportunity for such an event. However, now the Atlas V with NROL-67 is confirmed for April 10, documentation on Friday morning showed SpaceX has opted for the first optimum launch date placeholder, which is April 14. 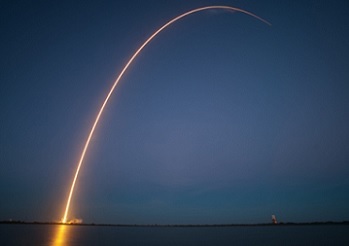 SpaceX officially announces the new launch date target later on Friday. L2 information shows the Falcon 9 v1.1 is now on the Range for a 2058 GMT T-0 on April 14, with this mission from SLC-40 also likely to utilize the “Radar 1.16” asset. All launch dates are NET (No Earlier Than) until closer to launch – and the Falcon 9 v1.1’s T-0 may be slightly refined over the coming days for an optimum pursuit of the ISS. 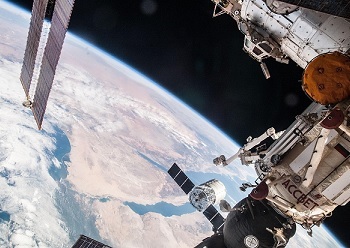 However, an April 14 launch of the SpaceX mission would result in berthing with the International Space Station (ISS) around 1100 on April 16. Due to optimum transit to the ISS preferences, the next launch opportunity for the CRS-3 mission will be four days later, on April 18. It is understood that there are no issues in work on the SpaceX launch vehicle and payloads, with the previous issues – that caused an initial slip last month – all now cleared. This launch will also involve several firsts, from the debut use of the upgraded Falcon 9 v1.1 with the Dragon as its passenger, through to the first live test of the landing legs on the aft of the first stage that the SpaceX team will attempt to recover post launch. Should the Falcon 9 v1.1 launch on either the 14th or 18th, Orbital’s next mission to the ISS, on their CRS-2 mission with the Cygnus spacecraft – is unlikely to suffer from a schedule impact, with options including a reduced berthed period for the Dragon. Such evaluations will be determined once the Dragon has successfully arrived at the Station, with many considerations in play per the ISS’ very busy Visiting Vehicle (VV) schedule. Meanwhile, the ISS – patiently waiting for its new arrivals – kept itself busy by dodging another potential conjunction threat this week. The SYLDA – a dual-passenger dispenser system – originated from the launch of the Ariane 5 V190, that successfully lofted the JCSAT 12 and Optus D3 spacecraft in 2009. SYLDAs are light-weight structures adding around 500 kg of mass to an Ariane 5 ECA mission. It is assembled from composite sandwich panels, and is capable of carrying an upper satellite weighing up to 6.5 metric tonnes in the dynamic and thermal environment encountered in-flight. Flight controllers in Houston successfully conducted the Pre-Determined Debris Avoidance Maneuver (PDAM) on Thursday, using the Progress 53 (M-21M) thrusters at the aft end of the Zvezda Service Module for a 3 minute, 40 second firing. This burn raised the altitude of the Orbital Outpost by a half-mile and provide an extra margin of clearance from the orbital path of a spent SLYDA.